Luxury Design Painting are fully licensed painters in Sydney providing a range of painting services including interior & exterior painting for residential, commercial and industrial clients. Luxury Design Painting Pty Ltd is a fully licensed, registered and insured painting company with more than 30 years of expertise in a range of projects, constructions, routine maintenance task and so much more. We build a strong reputation for quality, service and expanded our business from employing an expert, professional and reliable painters, tradespersons and apprentices. 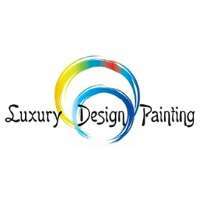 At Luxury Design Painting & Maintenance we pride ourselves in service-driven approach to all tasks and has gained a solid reputation for our meticulous care and attention to detail on all tasks. We can bring any home or office to its full aesthetic potential, internally and externally, whether your home or office is to take on a new appearance, be restored or has just been built. We have the highest quality tradesmen and premium products to achieve the look you desire for a room or an entire office, whether that look is contemporary or classic, fresh and relaxed, lively and striking or warm and welcoming. Whether you're looking for a professional residential painter or commercial painter in the Sydney metropolitan area contact Luxury Design Painting today for a free quotation! Reza has over twenty years of painting and maintenance experience. He began his chosen trade after completing formal tertiary education from TAFE, and has since honed his skills and experience working throughout the Sydney metropolitan area handling a range of projects and tasks.